We should know by now that Vincent and Catherine CANNOT catch a break. So naturally, they are on the run for their lives AGAIN. This week they are being chased by the nameless, ambiguously-powered superassassin that needlessly destroyed the stained glass windows from the church [seriously, the front door would have worked just fine]. Meanwhile, Captain Vargas is having a hard time explaining why two [not so] random civilians (JT & Heather) need 24 hr. protective custody. Instead of being grateful, JT is annoyed with his copper baby-sitters because they are getting in the way of him finding the BIG BAD behind THEE SERUM. Tess is a little hurt because JT is too busy worrying about his best-bro to notice she is struggling to balance her new job and the secret supernatural hunting. Unfortunately, Cat’s “get grabbed & attack” plan is contingent on the BIG BAD not knowing that V is a Beast. That plan is effectively ruined when Heather discovers that her new job is less about marketing and more about “torture for information”. Heather gets rid of her bodyguards and follows Julianna to a secluded building. You’d think someone who has been kidnapped before would have learned a lesson. Abduct me once, shame on you. Abduct me twice… In any case, by the time Vincent and Catherine arrive at Big Bad HQ to face JULIANNA, they know Vincent is a beast and tranq him accordingly. Julianna identifies herself as the BIG BAD behind THEE SERUM. But she also reveals the existence of a BIGGER BAD who is apparently after her. She claims Thee Serum and all the experiments were merely her way of protecting herself from “HIM”. She believes Vincent and Catherine work for this elusive unnamed villain [I am going to call him “The Man”] and when they refuse to admit it, she threatens to inject Vincent with a defective serum that will basically kill him. As all of these multiple abductions and reveals take place, JT has narrowed down his search for the serum makers to a handful of labs. He lucks out [REALLY lucks out] and just happens to walk in the lab where Heather is being kept. Hmmm… so the evil masterminds they’ve been fearing all season can’t even afford surveillance cameras or… you know LOCK A FREAKING DOOR?! Guess they can’t. Man, this show has the dumbest criminals ever. In the end, a criminal is stopped and everyone survives. It is sort of a win. At least according to JT, who thinks Tess is going to be impressed by his heroic beast-saving actions. She is not. Tess doesn’t care about JT solving yet another mythological mystery. She is tired of JT putting Vincent in front of everything else and she decides to break up with him. It might be slightly selfish [as she points out] but I think she is entitled to want to be the main concern for her boyfriend. Vincent and Catherine end on a happier note. They love each other and Vincent almost dying made Cat realized she does want a wedding. I’d say I am pretty neutral with this episode. I didn’t particularly dislike it [I thought most of it was OK], I didn’t love it either. 2) Yet another faux-antagonist. There was so much build-up to the man [or woman] behind the serum and when we find out, she goes down in one short fist fight! I know there is still build-up to the REAL big bad, but Julianna felt VERY anti-climatic. Give us a good baddie already!! On the other hand, I like the conflict between JT&T. It feels real and I sympathize with both sides, which is always good. I am confident they are going to get back eventually, but I think there is potential in that storyline. Spot-on review, as usual! I was laughing out loud and nodding in agreement the whole time. SO disappointing after a great episode last week. The JT&T parts were the best parts, IMO. They felt much more authentic, and they both definitely had valid points. Enough with the repetition already! We only have 13 episodes this season; no time to waste rehashing things we already know, and moving backwards on character development made last week (Cat)!!! yes spot on - the J.T./Tess parts felt more authentic and relatable. The fact that so many of the writers are new doesn't help either... although I guess that's relative bc the writer of Chasing Ghosts was also new and she did a great job... I guess it depends on how connected they are to the material. I feel the same way as you did. In some ways this was a let down episode for me since last week IMO was so great. This one wasn't bad, but it wasn't particularly great either. There were some good moments, but then meh moments as well. I have to say this was probably the worst episode of the season for me so far even though I generally liked it. Nothing stood out really. We'll see what happens in the next one, that one at least looks a lot more exciting. True, the trailer looked exciting and finally, Liam! I do not understand why anyone, especially Vincent, didn't stop Catherine when she was hitting Julianna. Was pretty weird to see that. I know... everyone was just staring at her and then was it Heather that finally spoke up? What would ppl do w/o Heather? Thank you for your review, perfect as always! I didn't understand the master plan either. It was a truly dumb idea. The writers seem to think information dumping is the same as showing us a story. In episode 1, we heard all about Zane from his wife sitting primly on the sofa and now the entire plot of the story along with "ruse" was explained ad nauseum. 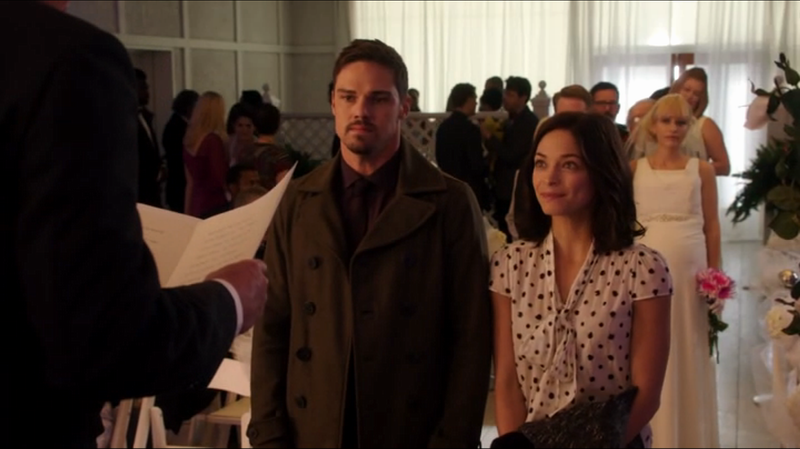 Also, there is something a little "off" about the Vincat relationship lately. The entire beating into a coma should have been removed from the script. A police detective of all people beating someone almost to death with her bare hands? After all the sanctimonious speeches we hear week after week? Anyway, you hit all the salient points, so thank you!